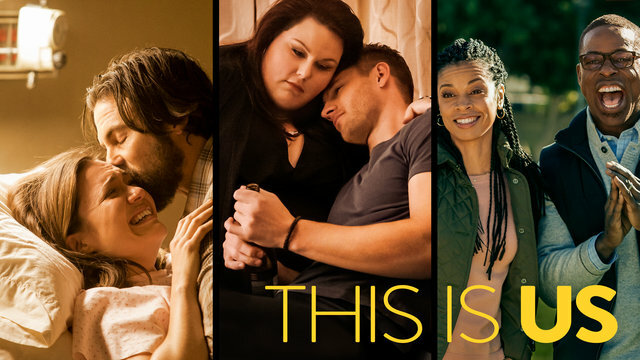 We are solidly into Fall TV and while I always think there are going to be a ton of new shows I love, there usually aren't. Here are a few that I am LOVING and a few that I thought I would love, but aren't panning out. This is Us. Is there anyone who isn't watching this show? I think it is just incredible, so well written and beautifully acted. I loved the big twists at the end of the first two episodes (won't say anything if you haven't seen them yet) and can't wait for more. Have you watched it? What do you think? Pitch. 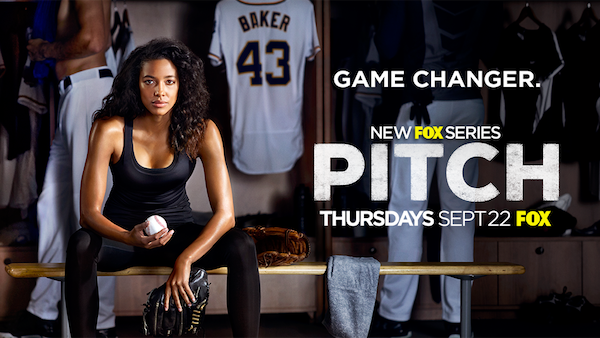 A fictional show about the first female professional baseball player. 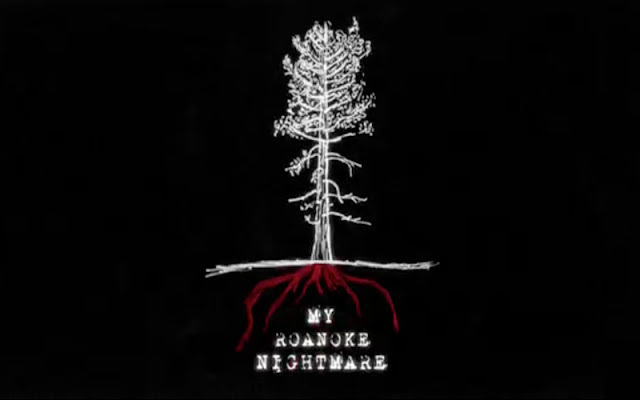 The first episode had a big twist at the end that I really didn't see coming. It made me sad, but then made me like the show more. It shows the struggles the main character has gone through and her struggles in the male-dominated world of baseball. It's good, you guys. And bonus: Mark-Paul Gosselaar is in it and cute as ever! American Horror Story. This has been one of my favorite shows, but this season is taking a while to heat up for me. I'm not hating it at all, but I'm waiting for something crazy. 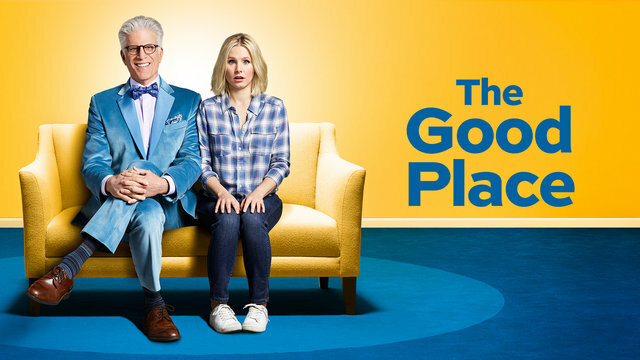 The Good Place. Sigh. I had *such* high hopes for this show. I love Kristen Bell, and Ted Danson, but this show just isn't doing it for me. I can't quite put my finger on why, but it's just not worth watching for me. 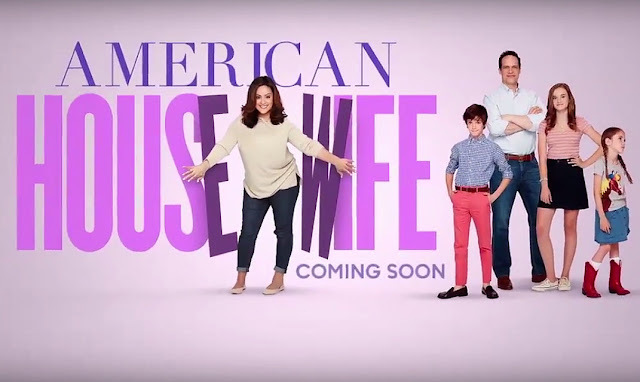 American Housewife. As of the time I'm writing this there has only been one episode. This is another show I had high, high hopes for. The pilot, however, focused solely on the main character's body insecurities, and trying to find someone bigger than her so that she wouldn't be the second fattest housewife in town. Ugh. Maybe I'm too sensitive to it, but there was a line when they were talking about a plus sized woman, and the husband said "Yeah, there's no getting around her on the sidewalk." Eww. There is so much more to being a mom and a housewife than berating yourself for not being a size zero. Let's talk about it. Give me a show about that. I don't know, I'm going to give this show a few more chances, but I hope the body issues are not the only focus of the show. Fingers crossed. What are YOUR thoughts?? Please, let me know. Any amazing shows that I'm missing? ?